Well, it’s not exactly that I’m saving up, but what I want is a shiny new Canon S5IS. (self-imposed) I can’t get a new camera until CEOT goes to the printer. That means only a couple more days!!! Woo Hoo! 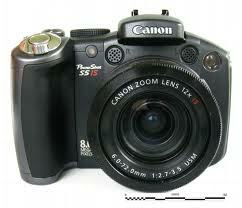 Okay, so it’s exactly 14 days after my birthday – but I get my camera RIGHT NOW!!!!!!!!!!!!!!!!!!!!!! !